The Emmanuel Macron administration of France said Paris would always stand by New Delhi in its fight against terrorism. New Delhi: The Emmanuel Macron administration in France has decided to impose sanctions on Jaish-e-Mohammed (JeM) chief Masood Azhar within the country, including a freeze on his assets. In a statement issued Friday, the European country said Paris would always stand by New Delhi in its fight against terrorism. The move came on the heels of China placing a ‘technical hold’ on a proposal at the United Nations Security Council (UNSC) to designate Azhar a global terrorist, a tag that would place him under a travel ban, an assets freeze and an arms embargo. The proposal, first floated by France, followed by the US and the UK, was moved on 27 February, days after the 14 February Pulwama terror attack in which 40 CRPF personnel were killed. The Pakistan-based JeM, deemed a terrorist organisation by the UN since 2001, had claimed responsibility for the attack. “France has always been and always will be by India’s side in the fight against terrorism,” the French ministries of Europe and foreign affairs, economy and finance, and interior said in the statement. “France has decided to sanction Masood Azhar at the national level… A joint decree of the ministries of the interior, and economy and finance was published today in the Official Gazette,” they added. 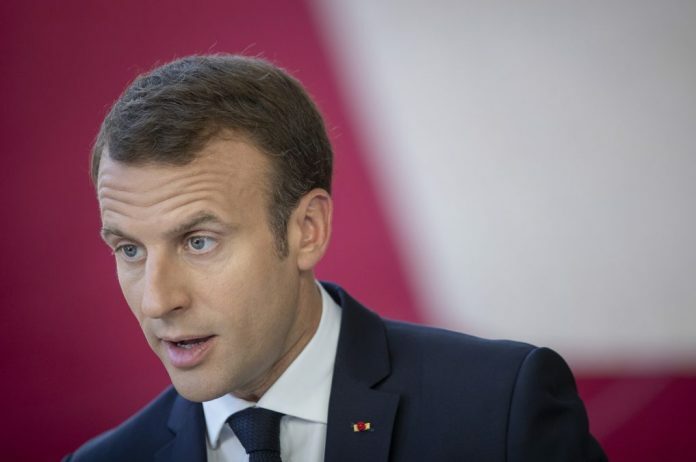 According to the statement, France is looking to initiate dialogue with other members of the European Union (EU) for a continent-wide crackdown on the terror mastermind. “We will raise this issue with our European partners with a view to including Masood Azhar on the European Union list of persons, groups and entities involved in terrorist acts, based on this decree,” the statement said. The proposal put on hold by China this week marked the fourth bid to get Azhar on the UNSC 1267 ISIL (Da’esh) and Al Qaeda Sanctions Committee list, with the previous attempts foiled by Beijing, a key Islamabad ally, as well. In a series of tweets Friday, External Affairs Minister Sushma Swaraj noted how the international community had joined India’s campaign to get Azhar listed by the UNSC sanctions committee. “In 2017, USA,UK and France moved the proposal. In 2019, the proposal was moved by USA, France and UK and supported by 14 of the 15 UN Security Council members and also co-sponsored by Australia, Bangladesh, Italy and Japan — non members of the Security Council,” she added. China’s decision to put a technical hold on the proposal yet again has spurred the US to weigh alternative ways to get Azhar under UN sanctions, with Washington coming down heavily on Beijing for deviating from its stated goals of fighting terrorism and maintaining peace and stability in the region. In a statement that didn’t name China, India’s Ministry of External Affairs Wednesday expressed “disappointment” at the failure of the UNSC committee to “come to a decision”. Meanwhile, China has defended its stance, saying that its technical hold was meant to seek more time on the matter so that a “lasting solution” acceptable to all can be found. This report has been updated with External Affairs Minister Sushma Swaraj’s tweets.